Radiation can cause changes in the oral mucosa such as mucositis and erosions which are basically sore areas that makes it hard for you to swallow or chew or even talk. This in combination with soreness in the mouth and throat can lead to marked reduction of weight in patients undergoing radiotherapy, as well as dehydration. 3. If the vocal cords are treated, there may be hoarseness with concomitant sore throat and swallowing difficulty. 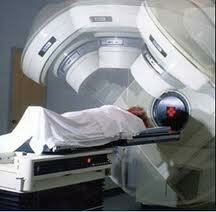 These side effects resolve gradually within 2 to 8 weeks after completion of radiation therapy. Due to radiation to the head and neck area, the salivary glands are destroyed along with the tumour cells. 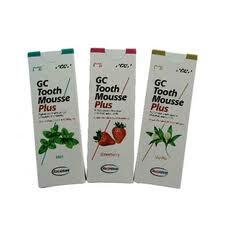 As a result, the patient will have dry mouth, or xerostomia, for the rest of their lives. Dry mouth, aside from being uncomfortable, also leads to other complications, such as candidal infection and increase of caries rate. Due to dry mouth, there is a shift in the balance of the microorganisms living within our mouth. This leads to proliferations of fungus, hence fungal infection, or candidiasis, can easily occur in patients who have received radiotherapy. (4) maintenance of a saliva supersaturated in calcium phosphate (encourages remineralization). Naturally, patients with dry mouth will be deprived of all these protective actions by the saliva, leading to higher rate of caries. Following radiotherapy, there will be reduced blood flow to the jaw bones. As a result, there is delayed wound healing. Should a tooth be extracted following radiotherapy, the socket wound may not heal and starts to rot (necrose). The necrosis can spread, and in severe cases may even lead to death. It is therefore essential that patients who have received radiotherapy maintain their oral hygiene. Fibrosis is characterized by scarring and hardening of tissues of the mouth, leading to difficulty in opening the mouth. This can also lead to decrease in food consumption and weight loss. Skin reaction usually occurs within the treated area with concomitant loss of treated facial hair. The reaction may resemble a sunburn which peaks during the final week of treatment as well as the first week after treatment, after which it usually subsides fairly rapidly. However, sometimes the symptoms persists throughout the lifetime. What are the precautions to be taken in patients indicated for radiotherapy? Dental clearance: which basically means doing all the dental requirements before the patient is started on radiotherapy. This includes extraction, scaling and polishing, restoration of caries, remove sharp surfaces of teeth, replace any faulty restorations. This is important because extraction is best avoided post-radiation, and all caries should be restored to avoid further progress. 1. 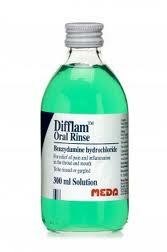 Management of soreness in mouth or throat: anti-inflammatory mouth rinses such as benzydamine hydrochloride (Difflam-C) mouthwash can temporarily relieve the soreness. Difflam forte sprays and Difflam lozenges provide relief in the same way. 2. Management of dry mouth: patients should be advised to drink lots of water. Keep mouth moist by sipping water or spraying water kept in an atomizer. 3. Stimulate saliva by chewing on sugarless chewing gum, fresh vegetables such as cucumber, carrots, turnips, or even putting lemon or tongue just before meals (not to be sucked). 6. If there is candidal infection, antifungals should be prescribed (eg. miconazole 4 times daily). 6. Mouth opening exercises– Open and close the mouth as far as possible without strain 20 times. This should be done regularly to prevent fibrosis. 7. There may be permanent subtle changes in the treated area including the skin. Moisturizing lotion or aloe vera gel can be applied to relieve local dryness or itchiness. The treated skin may be more sensitive to sun exposure. The patient should be advised to wear clothing or sunscreen over the treated area when outdoors.